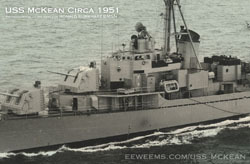 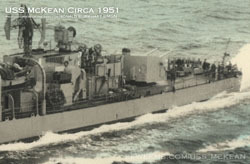 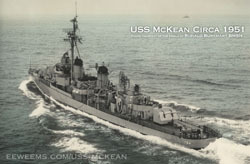 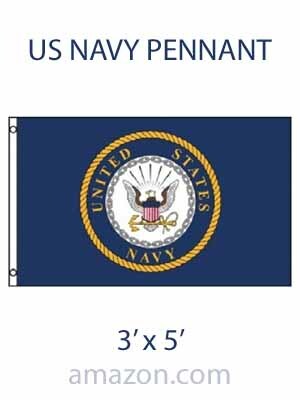 "My father-in-law's ship... he was in the Navy during the Korean war and the McKean was DDR 784. 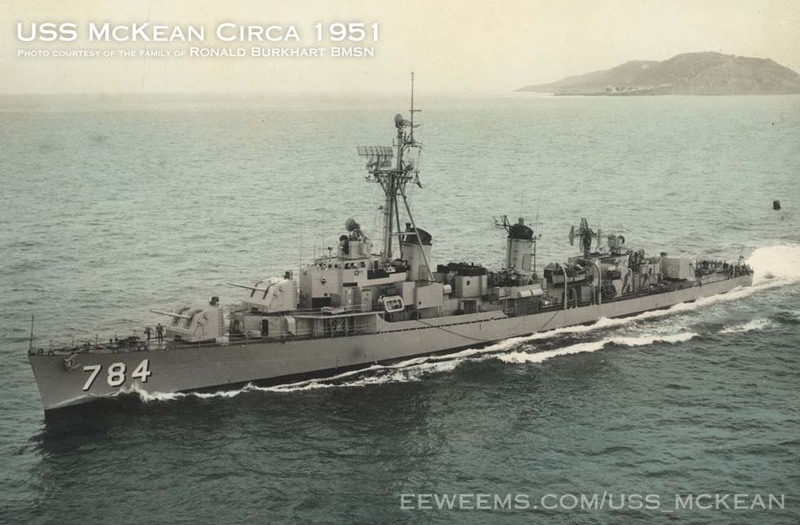 His name was Ronald Burkhart BMSN and served between 1951 and 1954. 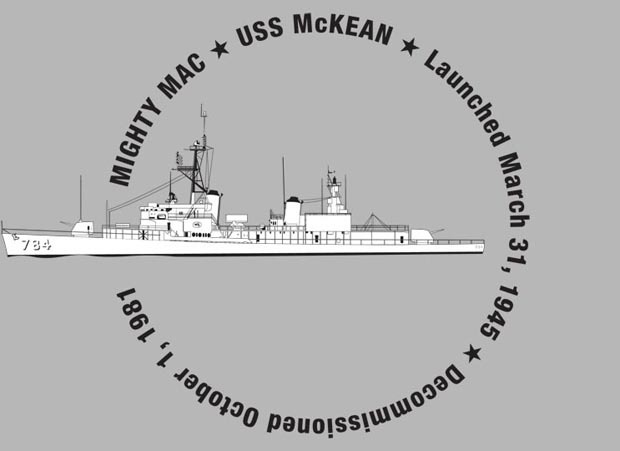 He died in Lake Havasu in 1982."